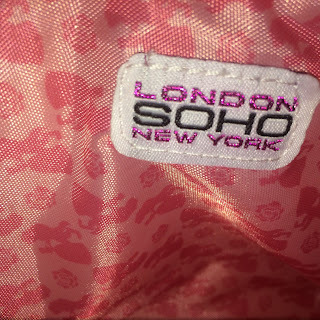 London SOHO New York is a brand you have probably seen and hadn't realized. Founded in 2005 the company has released some amazing products. 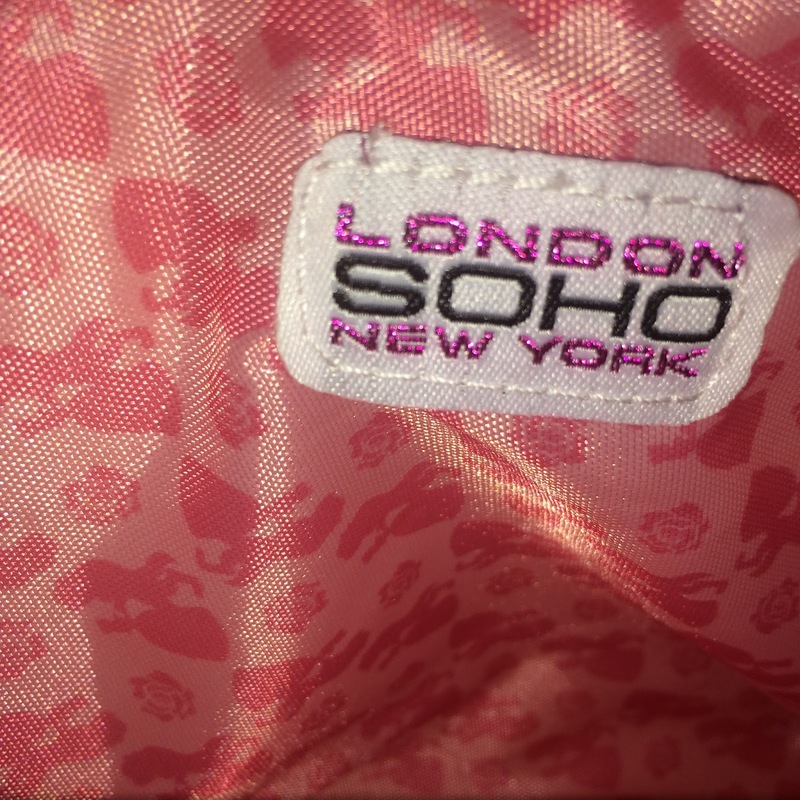 The last few years they have worked with Disney and offered a collection of Disney princess bags and other beauty Items. I got my first when I found my Ariel bag on clearance when I was on vacation last year in Nashville. We had stopped at Walgreens for a few items before heading back to our hotel room and I stumbled upon the collection of bags and snagged an Ariel for myself. So needless to say since I already have collected many of their brushes and other products I was over the moon when they asked if I would like to review some of the new products. I received an Jasmine and Aladdin bag which quickly became my favorite due to the size and the easy to carry handles. 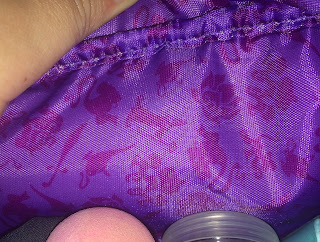 The inside is a nice rich purple with shapes and characters from the movie/ show. It is a study bag that zips shut and can hold about 10 bottles of polish and many other things with room to spare. It has become my "weekend" bag to carry everything I want or need back home for the weekend from work. The 2nd item I received is like a 2 for one deal. This set is from the Belle collection which is new this year. This set includes a larger clear bag and a smaller makeup clutch that is inside of it. This set runs for $9.99 and is just 1 of 4 styles of Belle bags they have. I have never had much luck with clear bags as I feel They usually give faster than ones of other material. This seems well stitched though and may be able to stand the test of time. It would be great for any children whose school requires the bags to be see through for supplies. 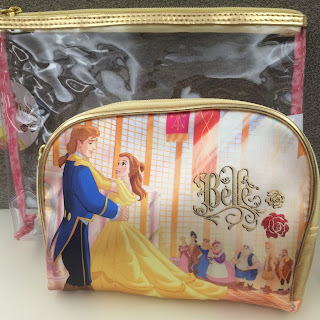 The inside of the bag is a nice peach color with pink images of belle and beast dancing and roses. 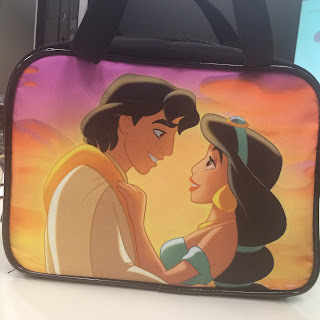 The bag is quite plush and has piping on the outside in metallic gold as with the zipper pull as well. This one is well made and would be great to carry makeup on and placed in your bag. Something I did notice with these that is different from previous ones I have spotted is that they include the prince on both and not just the princesses. I think it's cool that they added them in while keeping the focus on the princesses.